It's finally here, folks. Week one of season two of Major League Rugby. 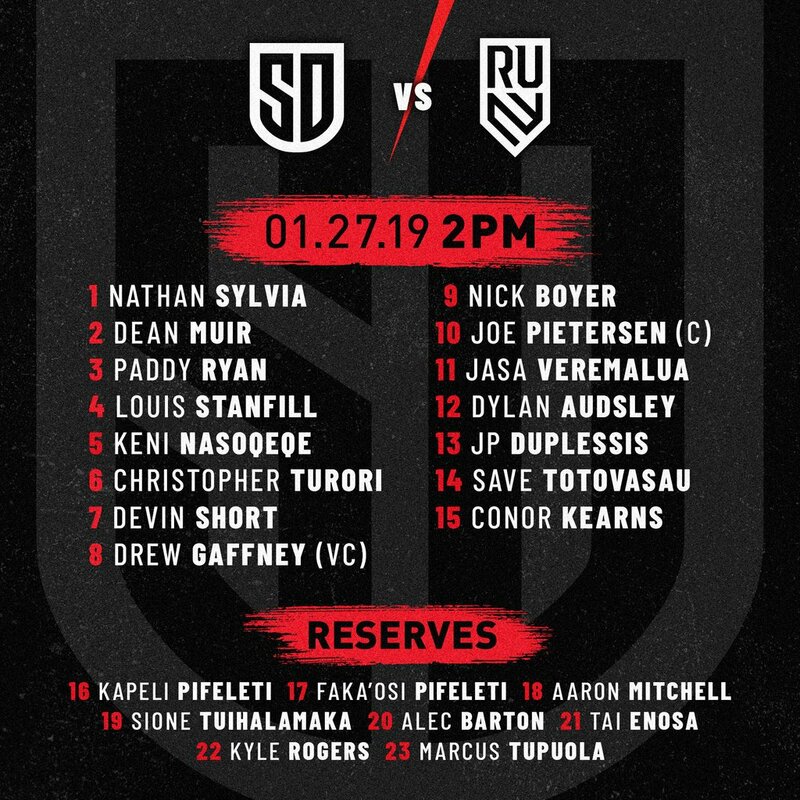 A second professional season of rugby has been a long time coming in the United States. We've got four matches as week one looks to start with a bang. Both new joiners, Toronto and New York are in action. As well as a rematch of last year's final in the CBSSports Game of the Week. The first matchup of the Major League Rugby season will take place in Louisiana. The Arrows head south for their first of eight straight away games. Not much is known about how the Arrows will play, since this is their first official season. They've played exhibition matches against MLR teams and won almost all of them. Being able to convince John Moonlight to semi-unretire was a big coup for the Arrows, as he will bring veteran leadership to the team. NOLA looks to put together a better season than last year. They get a couple pieces back from injury and have added a few pieces in the offseason. Cam Dolan, Con Foley, and Vince Jobo will be the key factors in this game for the Gold. 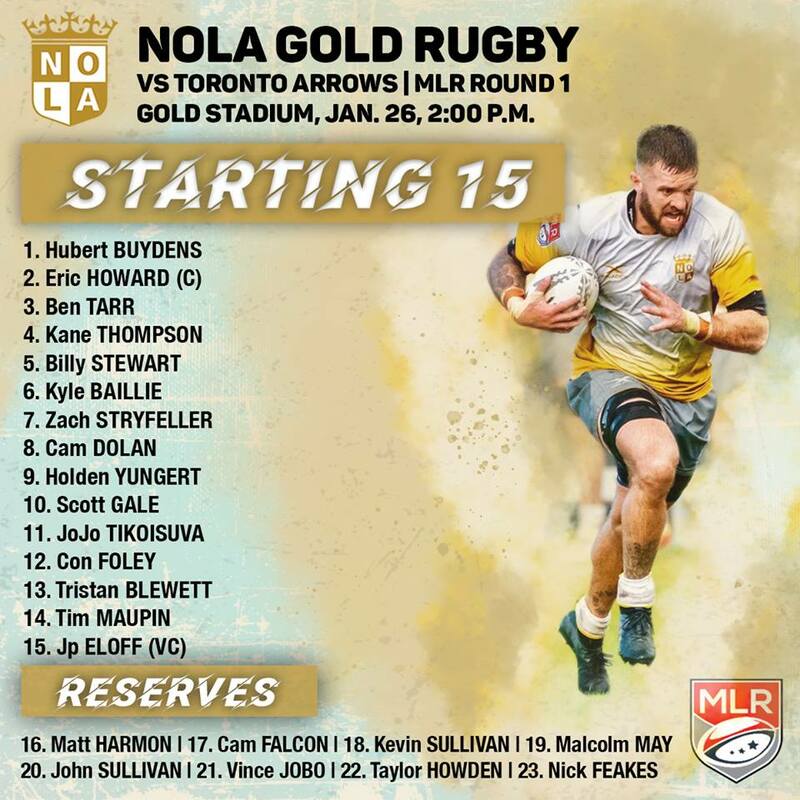 NOLA has had a good offseason, but they'll be getting their first real test this weekend against the Arrows. Expect the Gold to come out firing and try to put the Arrows on the back foot. The Texas rivalry once again takes place. The SaberCats have to be scratching their heads. They obviously have the talent and they seem to be putting in the work, but nothing seems to be working. Head coach Justin Fitzpatrick always seems to have the team ready to play, but they falter at the end. Houston has brought in a couple new coaches to help with their flaws and only time will tell if they will work out. If Houston struggles again this season, expect coach Fitzpatrick to be on the hot seat. Houston won last year's matchup in the second week of the season, but Austin won the recent exhibition matchup. Austin seems to be really putting in the effort to improve this season. They've brought in a number of new players; both experienced and non-experienced, but talented players. We haven't had much of a look at them, but their exhibition game against the SaberCats provided a little glimpse at what we could see from the Elite this season. The new kids on the block round two. RUNY heads from the east coast to the west coast to take on the Legion. We know a little about some of the RUNY players as a couple of them were on loan to other MLR squads last year. Two key questions for RUNY are: One, what impact does Ben Foden provide? He just arrived to the States recently and hasn't had that much time to get acclimated with his teammates. And two, what impact does Tiffany Faaee bring to the squad as a coach? Faaee brings a lot of experience with here, as she was the USA captain in the previous women's world cup. Ahh, the Legion. 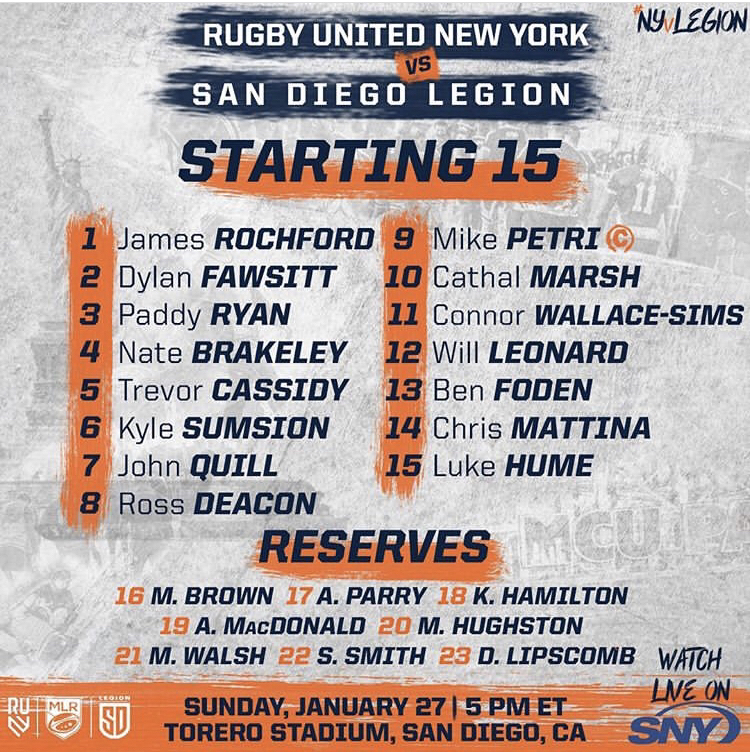 San Diego are one of the better teams in MLR, they just happened to catch the wrong break at the wrong time. They were pushed around in their first match last season, but improved as the season went on. This season, they've brought in some help in areas they've identified as their weak points. The Legion also brought in a new forwards coach in former Scotland international Scott Murray. Murray should be able to improve the Legion's scrum, that was such a big weakness of their's last season. The rematch of the 2018 MLR final is happening week one. This time we see if Glendale can wipe the slate clean and cross this game of their lists. Coach David Williams changed up their practice schedule so that the Raptors can get more time together as a team. He also brought in some more pieces to shore up some areas and bring up other weak points. Glendale will come into this match in condition and could dictate the pace if they wanted too. Seattle looks to kick off the defense of their title in front of a sold out, home crowd. The Seawolves didn't lose much and brought in pieces to get better. Good news, bad news in terms of coaching for Seattle. Good news, Phil Mack doesn't have to be player-head coach. Bad news, Seattle officially replaced their coach right before the season. Once again the Seawolves had visa issues and now Richie Walker has been announced as head coach. We'll see if that has any mental effect on the Seawolves.